October is the perfect month for scary movie lovers and movie buffs. Not only are the great Halloween scary movie classics played on many channels, but even movie theaters bring them back and sell cheap tickets to see one of your favorite classic horror films played on the big screen. Make sure to check out SyFy, ABC and Disney Channel when searching at night for a great scary movie during the month of October. Sometimes after a long day of travel, it is great to relax and watch a movie. 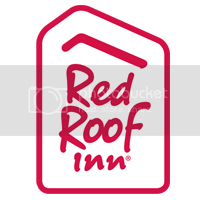 Red Roof PLUS+ properties provide NextGen® flat screen TV’s, Rest Suite beds by Serta® and an in-room microwave providing the perfect atmosphere for popcorn and a movie. Safe travels, happy adventures, and HAPPY HALLOWEEN!